As someone who has worked in childcare for over 24 years, Lena’s experience speaks for itself. After working as an ECE at a couple of different centers, Lena developed her own philosophy for how child care should be offered, and decided to start her own child care center. After running a home daycare for five years, Lena started Children’s Choice Daycare in 1998. 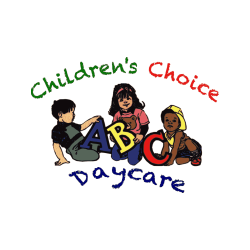 Lena recognizes that children are the future, and the staff at Children’s Choice takes pride in preparing them for life by teaching them life skills and providing them with the academic preparation that they need, giving them a head start. Initially, Lena managed everything at her center with WordPerfect and lots of paperwork. It was extremely difficult to be organized and stay on top of everything, so Lena began looking for child care software that could help her. The first software program that she purchased was difficult to use, and she had a tough time communicating with their support staff. It regularly took between 3-5 days before she would hear back from someone regarding a request, making it frustrating to receive the help she needed, and even more difficult to implement the child care software across her center. The regular updates were also costly, so Lena decided to look for something that would be more affordable and easier to use. As a business owner, life is busy and Lena can’t always be at the center. Sandbox child care software lets Lena easily login securely from her home or on the road, enabling her to monitor activity at the center when she’s not there. Now she can view her financials, family and staff information, and even create the reports she needs from anywhere. She has found this to be very convenient, and it allows her to manage her business more efficiently. Thanks Lena. We appreciate your business!